Cosmeceuticals are a class of skin care products that contain biologically active ingredients capable of exerting physiologic changes to the skin. Simply put, cosmeceutical skin care products don't just make your skin look better temporarily, they can actually create changes in your skin. The term "cosmeceutical" was coined by Albert Kligman, MD, back in the 1980s as a way to describe a skin care product that does more than a cosmetic but is not quite a drug. It's a blend of the words cosmetics and pharmaceuticals. Cosmeceuticals are more than cosmetics. Cosmetics, things like facial cleansers and makeup, can clean your skin or make it look nice, but they don't change the way the skin behaves. Cosmeceuticals, on the other hand, contain active ingredients that change the physical structure and workings of the skin. And they may have real science backing these claims. Although they are sometimes called "medical grade" skin care, cosmeceuticals are not drugs. Drugs are used to treat, cure, or manage a medical condition, and are subjected to incredibly stringent testing before hitting the market. Some over-the-counter products, like acne products and dandruff shampoos may seem like cosmetics but they are, in fact, drugs because they treat a problem. Cosmeceuticals can't treat skin problems. They're used for aesthetic purposes and are a non-invasive way to improve the appearance of the skin. You can buy them over the counter, and you don't need a prescription. Although there is a general consensus among skin care professionals as to what constitutes a cosmeceutical, there are no set guidelines and no standards defining these products. There is no governing body that oversees cosmeceuticals specifically. So, really, the term cosmeceutical is more a marketing term than an actual class of skin care product. This is where it gets a little muddled. Cosmeceutical products are not required to go through more rigorous testing than traditional cosmetics. Cosmeceuticals are not held to higher standards. They aren't even required to prove to actually do what they claim. In fact, the US Food and Drug Administration doesn't even recognize the term "cosmeceutical." In the eyes of the FDA, cosmeceuticals are either cosmetics or OTC drugs, depending on the claims the product makes. Drugs can state they "treat" a problem, wrinkles for example. A cosmetic can say it improves, minimizes, or softens wrinkles, but it can't say it treats them. 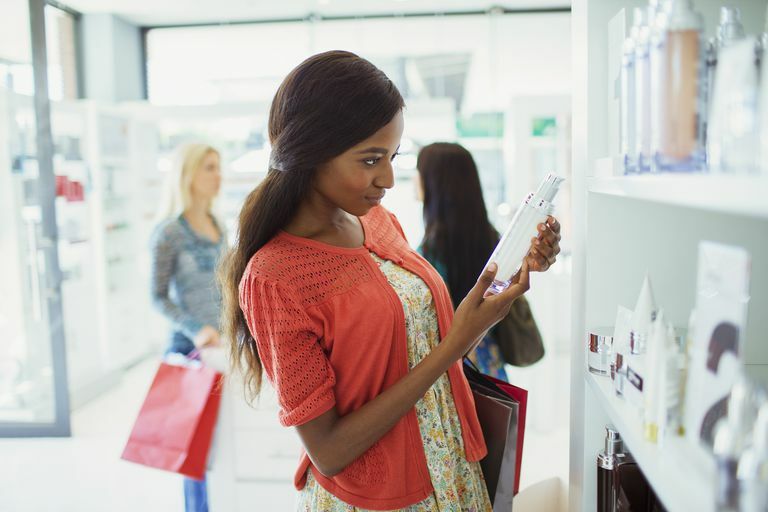 Because it is a rigorous process to get a drug approved, even an OTC one, most companies decide to market their cosmeceutical products as cosmetics. They can get the product on the market more quickly, and much less expensively, by doing so. Cosmeceutical claims are purposely left vague, to keep their marketing within the legal guidelines. While they aren't drugs, cosmeceuticals do provide a niche in the beauty market today. They're used to improve cosmetic problems like hyperpigmentation, cellulite, large pores, and acne. The vast majority of cosmeceutical products, though, are for combating aging—wrinkles, loss of elasticity and tone, and sun damage. Benefit: You get potent skin care, over the counter. Noticing aesthetic issues in your skin, but not so serious as to require a prescription medication? Cosmeceuticals can help minimize cosmetic problems like fine lines, uneven skin tone, or dull complexion. They can help you maintain your healthy skin, without needing a prescription. Benefit: Cosmeceuticals can work in tandem with topical prescription medications. If you're currently using a prescription medication, cosmeceuticals can improve your overall treatment. For example, products containing ceramides can reduce dryness caused by topical prescription tretinoin. Ask your dermatologist if there are any products he/she recommends for you, and never add a product to your treatment routine without your derm's OK.
Risk: Your skin becomes irritated. Because cosmesceutical products may contain high amounts of active ingredient, there's a chance they may irritate your skin. This is especially true if of products that contain exfoliating ingredients like alpha hydroxy acids or retinol. If your skin becomes red, itches, stings, or burns, stop using the product and let your doctor know if it doesn't improve. Risk: You aren't getting what you paid for. The biggest risk of using any cosmeceutical product is the product doesn't live up to its claims. It may promise to do X,Y, and Z, but at the end of the day if the product doesn't contain the right ingredients at the right levels it won't do much to improve your skin. Remember, cosmeceuticals don't have to prove they work at all. So, you could drop a huge amount of money on a product that does next to nothing for your skin. Simply because a product labels itself a cosmeceutical does not mean it will actually deliver on its promises. The best way to ensure you're getting an effective cosmeceutical product is to choose one that contains ingredients that are backed by science. There are some ingredients that have been more rigorously studied than others and have shown to have actual, biological effects on the skin. Cosmeceutical ingredients are largely unstudied in academia, so most of what we know about these ingredients comes from research done by the cosmeceutical industry itself. Still, there is good evidence that certain ingredients do have some tangible benefit for the skin. Looking for these ingredients in a cosmeceutical will help ensure you get a high-performance product that works. Alpha hydroxy acids (AHAs) are very well researched. Some of the most advantageous are glycolic acid, lactic acid, malic acid, mandelic acid, and benzilic acid. Alpha hydroxy acids increase exfoliation of the skin, leaving your skin smoother, softer, and all-around brighter. AHAs are also used to fade sun damage and mild hyperpigmentation. Alpha-lipoic acid (ALA) is a powerful antioxidant that helps protect the skin against free radical damage. It's often incorporated into eye creams and serums because it may improve dark circles. ALA may increase skin firmness and reduce large pores. Ceramides are an important building block of the skin. Their claim to fame is their ability to keep the skin hydrated. Ceramides help reduce trans-epidermal water loss (or TEWL). This is a fancy way of saying it keeps moisture in your skin, rather than allowing it to evaporate away. It also smooths the look of fine lines as it moisturizes and plumps the skin. Green tea is very high in polyphenols, especially epigallocatechin-3-gallate (EGCG). EGCG reduces inflammation, stimulates collagen production, and protects against UV damage. This doesn't mean green tea is a good substitute for sunscreen; it's not. But sunscreen products that contain green tea extract might give you some added protection from the damaging effects of the sun on the skin. Hyaluronic acid naturally occurs in the skin and diminishes as you age. Hyaluronic acid helps keep the skin hydrated and firm. Just like with ceramides, hyaluronic acid leaves the skin looking plump and smooth. Niacinamide (vitamin B3) is another good antioxidant. Niacinamide increases hydration levels of the skin. It's also good for evening out your complexion by reducing redness, blotchiness, and hyperpigmentation. This ingredient brightens the skin and protects against dullness that comes as we age. Peptides are short chain amino acids that are naturally found in the skin. Peptides can stimulate collagen production, improving skin firmness and texture while reducing fine lines. Questions remain, though, if peptides can be absorbed deeply enough when applied topically in a skin care product. Retinol and retinaldehyde (not to be confused with the prescription medication Retin-A) are used for softening hyperpigmentation and fine lines. They also leave the skin feeling smoother, and may protect against collagen loss. Retinaldehyde specifically has been shown to reduce wrinkles, even deep-set ones. Soy is thought to protect against collagen loss and thinning of the skin that happens as you age. Some studies suggest it also stimulates collagen production. Vitamin C is a well-known antioxidant that may also stimulate collagen creation (specifically L-ascorbic acid). But it's highly unstable and loses its potency quickly once the product is opened and exposed to air. For vitamin C products you'll get the best results from those package in air-lock pumps (that prevent air from getting inside the bottle to the product) or those in single-use capsules. Vitamin E is good for sun damaged skin, and may help protect against degradation of elastin. It works best when paired with vitamin C. Like vitamin C, though, it can be unstable and degrade quickly. There are an incredible amount of ingredients used in cosmeceuticals, and more are being introduced all the time. This isn't an exhaustive list, but rather one that can get you started with some of the more well-known and well-researched ingredients. A well-made cosmeceutical can help improve the tone, texture, and brightness of your skin. But remember cosmesceuticals are still just topical skin care products, so you have to be realistic about what they can actually do. They won't completely erase wrinkles, nor will they give you results on par with more intensive procedures done at the dermatology office (like laser treatments, chemical peels, or injectable fillers.) But if you use your cosmesceutical products consistently, you can see improvement in your skin. Don't forget about one of the most important skin care steps, though: sunscreen! This should be used daily to prevent damage like early aging and hyperpigmentation, and to support your cosmesceutical product. When choosing a cosmesceutical product first look for ingredients that have some science behind them. It's tempting to jump on the bandwagon with the latest trendy ingredient, but if it doesn't have any evidence to back up the claims you may be tossing money down the drain. If you need help choosing a good cosmeceutical product, your best course of action is to ask you esthetician or, ideally, your dermatologist what they recommend. Barros BS, Zaenglein AL. "The Use of Cosmeceuticals in Acne: Help or Hoax?" American Journal of Clinical Dermatology. 2017 Apr;18(2):159-163. Milam EC, Rieder EA. "An Approach to Cosmeceuticals." Journal of Drugs in Dermatology. 2016 Apr;15(4):452-6. Pilkington SJ, Belden S, Miller RA. "The Tricky Tear Trough: A Review of Topical Cosmeceuticals for Periorbital Skin Rejuvenation." Journal of Clinical and Aesthetic Dermatology. 2015 Sep;8(9):39-47. U.S. Food and Drug Administration. "Cosmetics Guidance & Regulation." U S Food and Drug Administration Home Page. U.S. Department of Health and Human Services, 21 Dec. 2016. Web.